Part of building your brand in the blogging world is diving into the world of being a contributor. Being a contributor on someone else’s blog not only helps that other person’s site but it also allows you the chance to speak to the other person’s audience which can mean that you can grow as a blogger and brand. 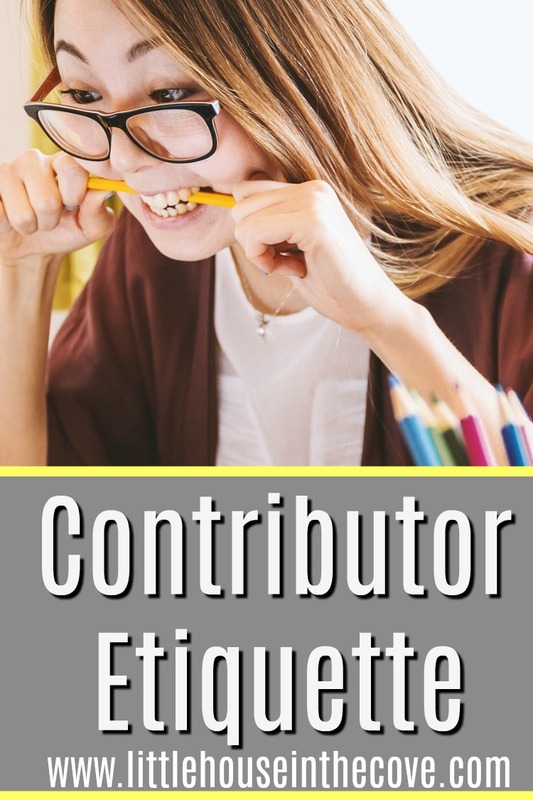 Now that you have decided that you want to be a contributor there are a few things that you need to do to make sure that this work commitment goes smoothly. After all, no one wants to be known as someone who is difficult to work with. Turn your posts in on time: When a date is given there is a reason. Turning your post in late without a previous arrangement being made is not only rude but it is extremely disrespectful. There is a timeline in place for a reason. Read and re-read the guidelines. Every website owner is different. As a virtual assistant to a lot of people, I can tell you none of my clients run their sites the same way. This is why they provide guidelines. If you don’t understand something, by all means, ask questions! Unless the website owner says it is OK you should never include affiliate links: When you are talking on someone else’s platform then you need to be mindful that you will be talking to their audience. Linkbacks to your site are deemed acceptable (unless otherwise stated in the guidelines) but those link backs should not be a link to something that asks their audience to pay you! Learn how to send an HTML: HTML is the way most website owners want to receive your post. HTML makes it a little easier for the website owner to get your post in and see your vision. You can directly place the HTML in an email, on a Google sheet or in a word document. Don’t forget your information: When you turn in your HTML don’t forget to add your bio at the end! The website owner doesn’t want to hunt you down to promote you! Add a little about yourself, where you blog at and what your social media platforms are. Don’t forget to also send your headshot if you don’t have one it is time to have a backyard photo shoot. Promote, promote, promote: When your post goes live promote it like you own it. Being a contributor means you are teaming up with the website owner. So pin that post, share it on FB, tweet it if that is your thing and send out an email! The website owner will thank you and it will show your audience that you are versatile. As a website owner, you should be working with other website owners within your niche. Hopefully, with these tips, it will be a pleasant experience for you and those you work with.